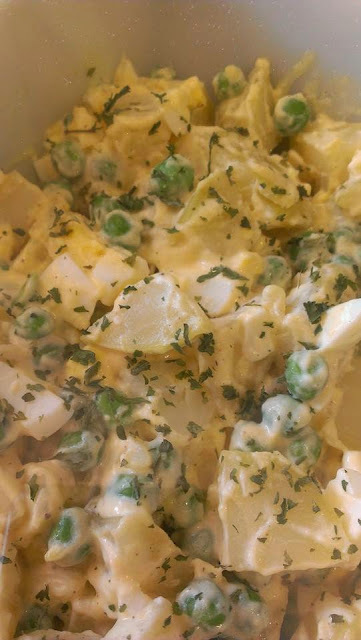 A little twist on an Argentinean Potato Salad, that some really good friends showed me a few years back, and since then when it comes to Potato Salad there is no question, this one is my kid's favorite, and for one of my girls the only one !!! Hope everyone try this recipe on your next picnic or Outside BBQ. 6 medium size waxy potatoes, boil in water with a bit of salt. Cool, and diced. 1. 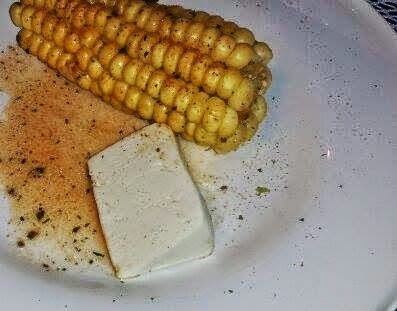 Mix mayo and all seasonings ingredients in a large bowl. 2. 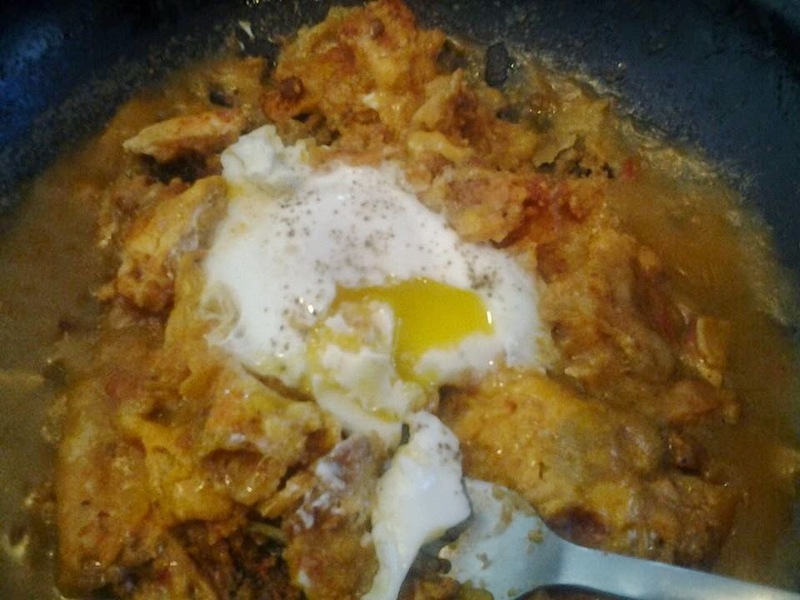 Place potatoes, eggs and green peas inside the large bowl. 3. Mix with out breaking the potatoes and place on serving dish, the best way to mix is using your hands. 4. Best if make the night before !!! Have Fun Cooking and Enjoy! !